Ultra Sun lamps are high quality, feature robust construction and have excellent reliability at an economical price. 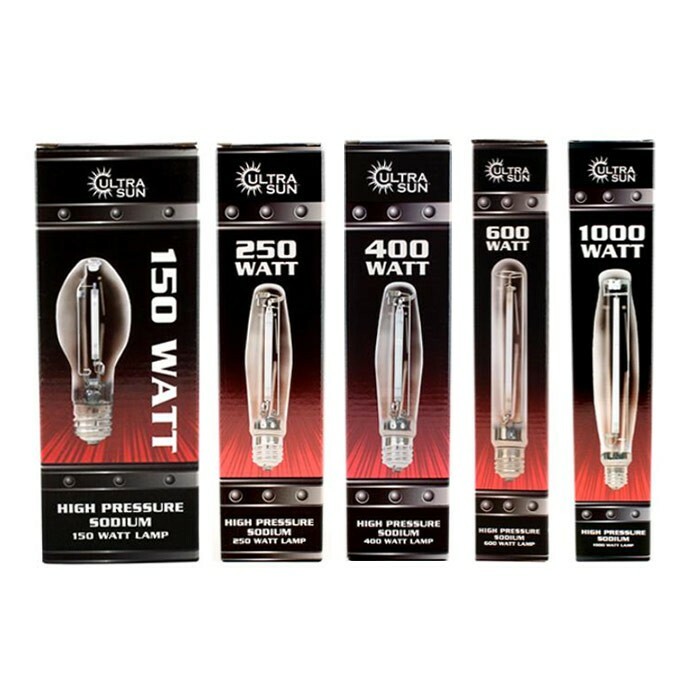 The Ultra Sun High Pressure Sodium (HPS) lamps have a Kelvin temperature rating of 2000°K which is ideal for the fruiting and flowering stages of plants. It is also an excellent lamp for full term plant growth. These lamps have been specifically engineered for horticulture applications.